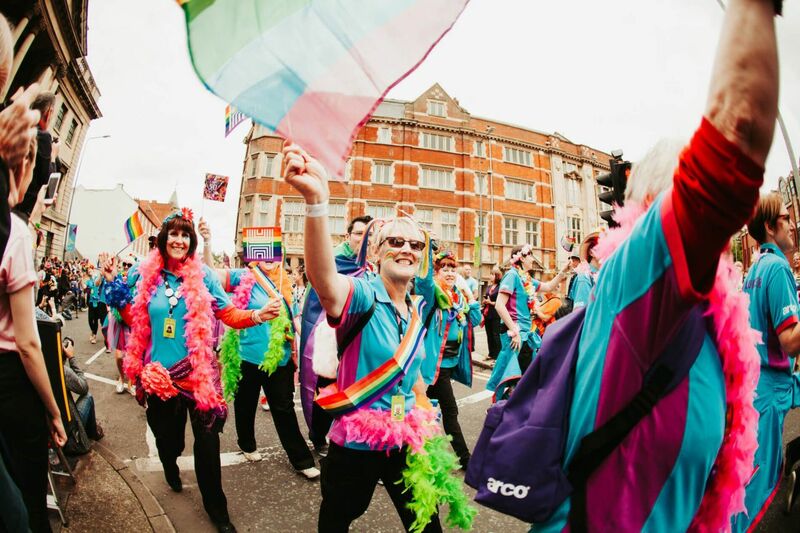 Pride in Hull 2018 – pencil us in! Hello! Sorry, we’ve been a bit quiet. We’ve been busy beavering away behind the scenes capitalising on the MASSIVE year we had. Did we say thank you? THANK YOU. You were amazing. We welcomed 44,000 (FORTY FOUR THOUSAND!) people to Queen’s Gardens to celebrate Pride in Hull 2017 and – well – we want to do it all over again. How does 21 July work for you? Pencil us in. On top of the 44k Pride in Hull party-goes that we may have already mentioned (to our friends, family, neighbours, pets, postman and random passers by), the University of Hull ranked LGBT50 one of the biggest success in the Hull City of Culture calendar and our own research found that 80% of our audience rated Pride in Hull 8/10 or higher. More than one of you called our event ‘the best day of your life’. We take this seriously. So seriously that we may have cried a little bit. We’re putting a call out to companies that want to hop on board and help us make Pride in Hull 2018 as incredible as last year. Without the incredible support of our corporate partners, Pride simply couldn’t happen. To show our gratitude we can create a bespoke package for you that delivers what you need on the day and throughout the year – whatever your budget. If you want to find out more, drop us an email. We’re now taking applications for stall holders and food vendors. Get yourself into Pride in Hull – our audience are ready to say hello. Are you a charity? Artisanal bakery? Fashion vendor? Art seller? Burger flipper? Our stall-holders had an amazing day in 2017, with quite a few managing to close up early having completely sold out (in time to catch B*Witched’s cheeky mash up of C’est La Vie and Gallway girl, but that’s probably a coincidence). We’ve got a range of packages depending on who you are and you can apply online now. We had over 1,000 people march through a packed Hull City Centre. Let’s do it again! Whether you’re an individual, group, or business, you can register your place on our website now. We’ve got loads of news coming up – join our VIP mailing list if you want to be the first to hear it. But if you want to chat in the meantime, come and see us on social media. We’re on Facebook, Twitter, Instagram and Snapchat.